Welcome to Housecall Property Inspections, a certified San Diego home inspection company. We are glad you found us and are excited that you are considering using us as your San Diego home inspector. Please spend a few minutes learning about our Home Inspection Services. We are Certified Professional Home Inspectors (CPI) and perform the most comprehensive home inspection in the business using sophisticated tools and instrumentation. With hundreds of items reviewed during our three + hour inspection, you will come away armed with information to assist in the negotiating process and ensure you are making an informed purchase decision. We have the practical and professional expertise necessary to identify defects in your home. Operating as full-time professional home inspectors since 2003, the Housecall team brings to the table over 19 years of construction experience in San Diego, CA. We have built and remodeled hundreds of homes in this area. Some home inspectors simply attend a "workshop" and pass an exam to become a home inspector. Be advised that California does not have any licensing requirements for home inspectors. We are a member of InterNACHI, the largest and most respected trade association of home inspectors with members worldwide. Our home inspectors have certifications and other achievements that classify them as Certified Professional Inspectors and have published articles on various home inspection topics. We are always looking for ways to improve our efficiency while still offering superior service to our clients. Our home inspection pricing is very competitive. You might be able to find a lower cost home inspector in San Diego. But think about it, do you want the cheapest home inspector at a time when you are contemplating what could be the largest purchase decision of your life? We think not. We stand behind our work with the best guarantee in the business and we do not compromise. Your satisfaction is guaranteed and if for any reason you are not satisfied following an inspection, you pay nothing, no questions asked. Our customers are some of the finest agents in San Diego and we also work directly with investors, first-time buyers, flippers and rehabbers. Our home inspectors communicate clearly and spend time with you during the inspection recap to discuss any item of concern. With our experience as a home builder/remodeler in San Diego, we have the knowledge to offer tips on how to perform DIY repairs if you chose and can point you in the right direction should your home need more significant repairs. The picture we paint is crystal clear and we think you will appreciate this high level of service. Our detailed, computer-generated home inspection reports are delivered electronically in 24 hours and include color photos to illustrate the condition of a home, all written in a narrative style that is easy to understand. Most home inspectors in San Diego use inferior software to produce their inspection reports and the result is a generic, poorly formatted document with canned responses and difficult to find information. 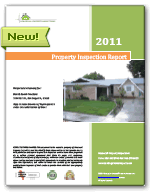 Take a look at our sample home inspection report, then look at others. We think you will agree that we produce one of the best home inspection reports in the business. For a certified San Diego home inspection, make a Housecall! Thanks so much for conducting the home inspection yesterday for the Ohio St. condo. I was so impressed with your competence, customer service and courtesy. I feel fortunate to have selected you from the several referrals given to me by Dylan. I sure hope that he sends more business your way.